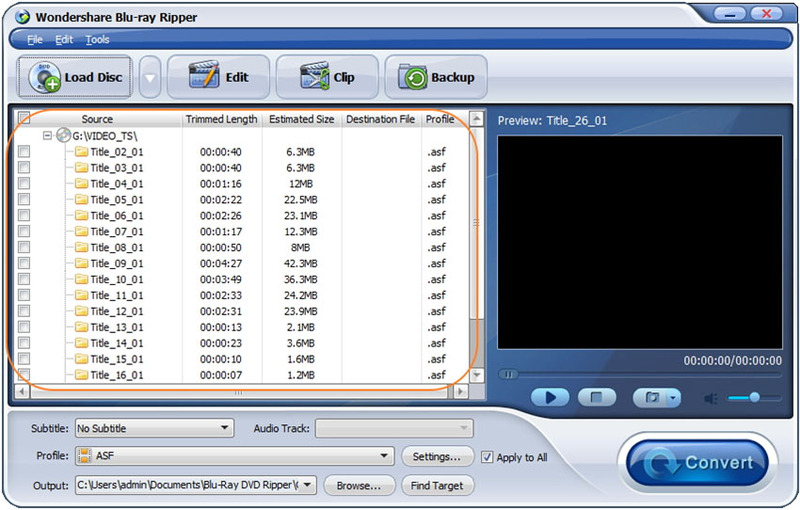 The guide will show you how to extract video from Blu-ray disc for easy sharing. Read on to learn how Wondershare DVD Creator makes your Blu-ray collection more accessible. Blu-ray Disc to Video is currently available for Windows version. 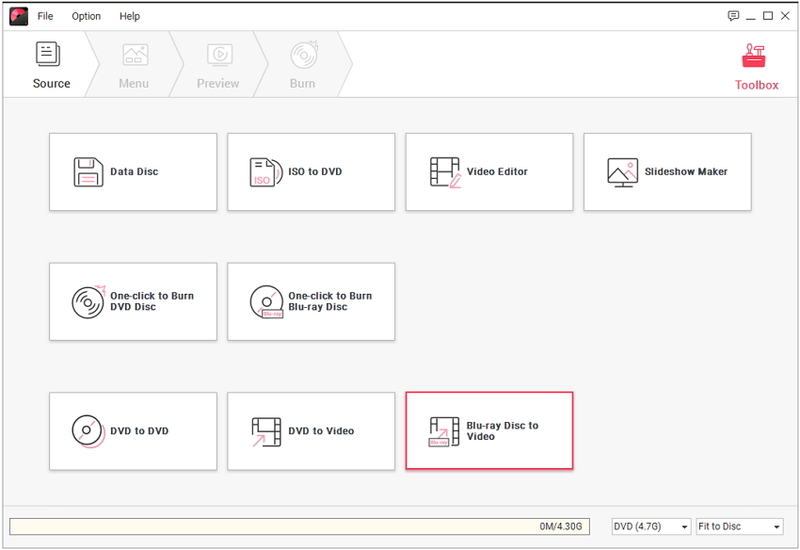 Run Wondershare DVD Creator and click More DVD Tools >> to view the built-in Toolbox. 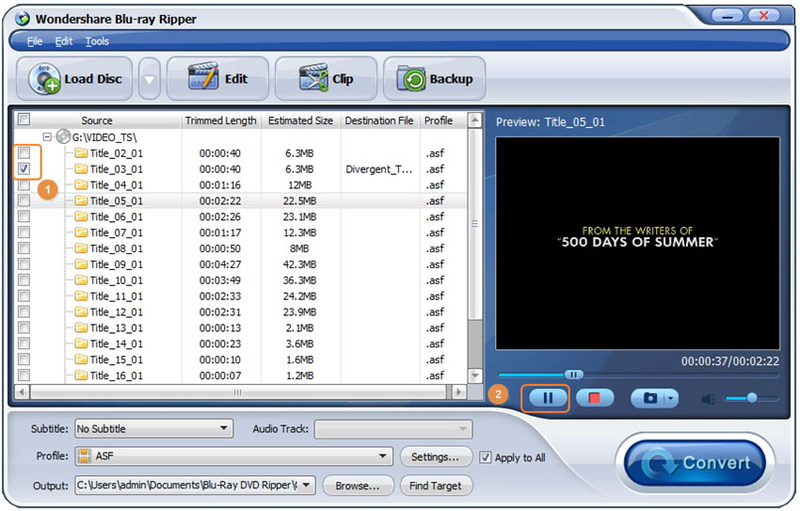 Hit Blu-ray Disc to Video to open Wondershare Blu-ray Ripper. Insert your Blu-ray disc to the computer and click Load Disc or to import Blu-ray movie. Within seconds, you'll see the loaded Blu-ray files just as the screenshot shows. If you want to preview the Blu-ray files, just select them in the left and click the play icon as pointed in the screenshot. Check your desired Blu-ray movies in the left and click beside Profile to choose the output video format. After that, hit Browse... to specify a folder path to save the ripped Blu-ray video. When everything is set, click Convert to start converting Blu-ray to video. When the Blu-ray to video conversion completes, you'd get a pop-up window as below. Press OK to proceed and click Find Target to get the extracted video from the Blu-ray disc.